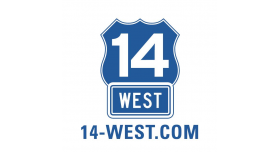 14 West makes cool swag for cool brands. Consumer handouts, Ambassador apparel, tents/flags/banners, custom import, and retail displays. WE ARE EXPERTS IN RUSH PROJECTS. We have clients all over the US. Guaranteed best pricing in the industry. 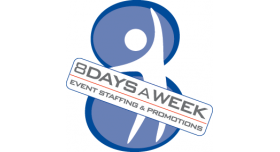 At 8 Days A Week, we provide superior, brand-compatible event managers, brand ambassadors and spokesmodels throughout the U.S. We pride ourselves on our unparalleled client service, 24-hour event support, large nationwide database, competitive rates, and customized event staffing solutions. 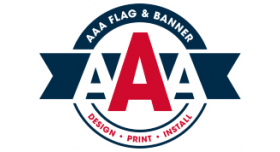 AAA Flag & Banner Manufacturing Co.
A leading manufacturer of corporate and live event experiential marketing materials. 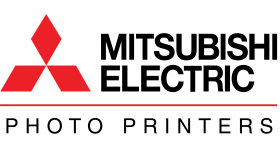 Including creative design, large format print, display hardware and installation service capabilities. Offices and production facilities located in Los Angeles, San Francisco and Miami. 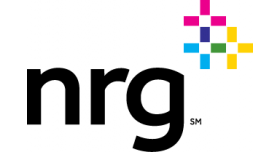 Providing interactive, unique technology solutions and Digital Signage to events nationally. it all: interactive multimedia, attention-grabbing presentations, thought-provoking keynote speakers, memorable messaging, live performances and more. We produce, direct, write, design, edit, build... whatever you need. And because we’re all full-time staff, all working under one roof, we make things happen fast! It’s not about the furniture, it’s about a state of mind and how your guests feel while sitting on it. 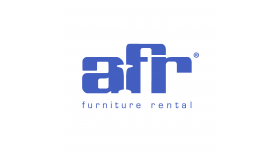 AFR® Furniture Rental is a company dedicated to helping clients provide buzz worthy interactions for enhanced impact and results. AFR® combines product and style with the expertise of over 800 professionals and 27 distribution centers across the United States. Our approach to increasing the value of experience heightens the level of engagement and produces the highest level of comfort, quality and service in the industry. Visit afrevents.com or one of our showrooms to see how AFR is challenging the conventional and bringing a new creative standard to your events. 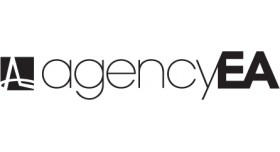 AgencyEA is a leading global brand experience agency headquartered in Chicago. EA connects brands with their target audiences through live experiences, digital engagement and traditional marketing. 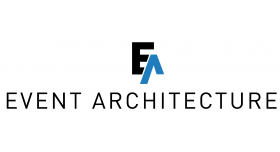 Founded in 1999 as Event Architects, agencyEA works with esteemed clients such as Hilton Worldwide, Intuit, Clif Bar, MillerCoors, Google and the Obama Administration. 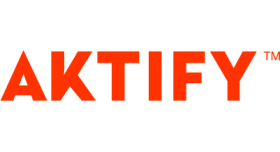 Aktify is the new way to rank your best event leads. 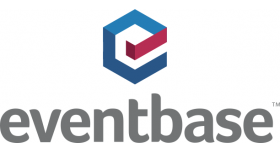 Event marketers use our platform to automate post-event, follow-up work. Add event leads to your CRM, segment them based on profile data, and gauge their interest level. We reach out to your prospects and set next steps with the ones who are ready to talk. 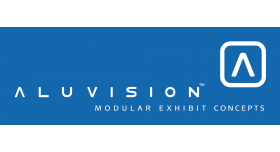 Aluvision develops and manufactures modular aluminum solutions for the trade show and event industry. Our range of products includes straight and curved panel and fabric walls, lightboxes, hanging signs, displays, raised floors and even LED walls. Everything is developed in function of modularity, reusability, ease of install and design. beMatrix® USA, designer and manufacturer of the renowned, aluminum frame system with holes. 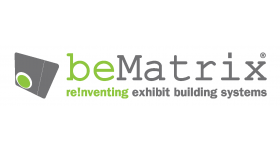 Using the same frames for walls, floors and ceilings, the beMatrix® System is the ideal 360° Solution for -faster, stronger, bigger, lighter and changeable- modular exhibits and events. Frames are available in curved and straight formats and join together with Tooless™ connectors. beMatrix® frames can now be joined seamlessly to LED video walls with our Red Dot Design Award winning LEDskin™. 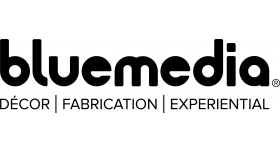 bluemedia is the industry leader in décor, custom fabrication and experiential activations for brands, teams, events and venues across the United States. 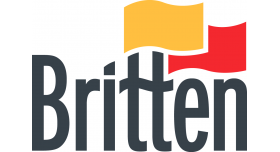 Britten has been helping some of the world's largest brands visually connect with their audience through high-quality printing and custom fabrication. 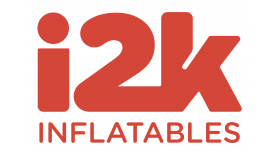 Products include large-format print, building wraps, point-of-purchase displays, tents, hardware, Foam3D™ sculptures, BoxPop® containers, and decor. 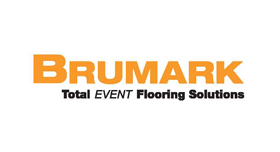 Only Brumark brings you cutting-edge flooring solutions to help you take your projects to the next level. With the industry’s largest selection of event flooring — including printed, outdoor, staging, carpet, turf, and more — we have solutions for any activation. And as part of the Exploring, Inc. family of companies, we can offer you a one-stop source for exceptional fabrication, scenic and more. Come see how Brumark and the Exploring family can support you! Innovative photo booth solutions for brands and agencies. 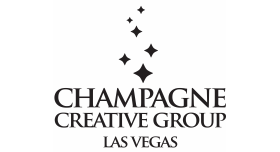 The Champagne Creative Group is a boutique design studio, specializing in experiential marketing, décor, special event and character design. Its premium concepts, localized teams and five-star national costume library achieve impressive results. We operate a fleet of 26 (and growing) Cinetransformer state of the art experiential 91-seat mobile cinemas units worldwide. We are responsible for experiential mobile marketing tours for many of the world’s most famous brands. 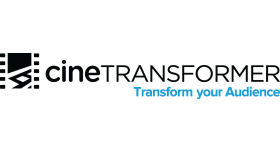 Our clients recognize Cinetransformer to be an affordable, exciting and highly effective marketing investment solution – recognition reflected in a history of successful campaigns and engaged audiences around the world. We offer nationwide rental of Two-way Radios, accessories and PTT phones. Drive your customers' success by using our wireless communications to respond quickly to boost safety, security and efficiency at their Conferences, Events, Trade Shows and Brand Experiences. 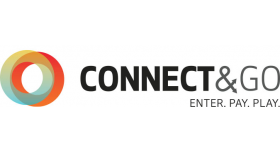 Connect&GO is a leader in RFID solutions for experiential activations, access control and cashless payments. We turn creative ideas into frictionless experiences guests want to re-live again and again! 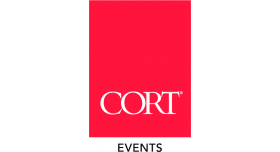 From your largest events to premier clients, CORT Events is your trusted partner for high quality stylish rental furnishings, 3-D product renderings, and seamless delivery. Our experienced professionals will help turn your next event into one that engages, excites and brings your vision to life. Style & Service, Delivered. 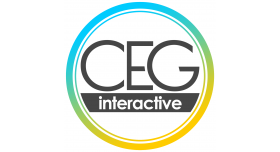 CPG Agency designs immersive, experiential events that connect top brands to their greatest asset - their people. CPG's live experiences and internal communication strategies inspire action and create brand advocates. 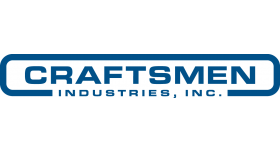 For over 35 years, Craftsmen Industries’ team of experiential experts has enjoyed building best-in-class mobile marketing vehicles, trade show elements, and custom event displays. Our 150-member team will make your vision a reality in our 127,000 square foot facility, all with industry-leading innovation, speed, and craftsmanship. Craftsmen’s vast toolbox, featuring in-house engineering, graphics department (G7 Master Certified), custom wood, sculpture, welding, fabrication and paint shop, is all you need to make your experiential vision a reality, all under one roof! 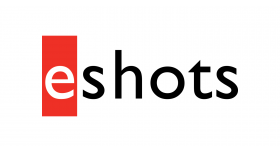 eshots has been disrupting the experiential industry since creating the photo marketing category in 1998. In the years since, eshots has continued to lead the experiential technology industry by taking the most reliable, scalable and secure lead capture platform QuickCapture, and evolving it into the industry’s first and only automated data capture and insights ecosystem. 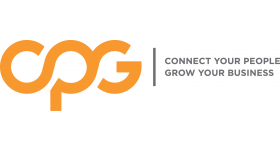 By providing advanced technology, experience-based services, data-driven analytics, and unlimited front-end engagement tools via our plug-and-play API, eshots has become a trusted partner for Fortune 100 brands that want to get a clearer picture their ROI and improve program performance. Every year eshots captures millions of leads for enterprise brands, including The Coca-Cola Company, FCA, Ford, Mercedes-Benz, Nationwide and State Farm to name a few. Event Architecture brings beautiful aesthetic structures to the outdoor activation space, which make the brand impact sponsors are looking for. Hello. 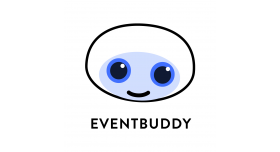 I’m Event Buddy, the free software package that allows you to reduce your ugly admin jobs, streamline your processes, plan, organise, budget, source and report on every scale of event. Fully operational by Summer 2018, I’m all the event support you will ever need. Eva - is an AI-powered event concierge that fundamentally alters how attendees interact with the ubiquitous event app, event2mobile. With a conversational interface, Eva allows attendees to completely bypass the event app and ask questions directly. Thumbing through session details becomes a simple “When is Elon Musk scheduled to speak?”. 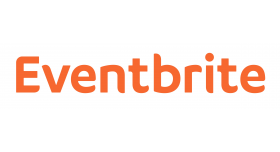 Eventbrite is the world’s largest ticketing and event technology platform. The company, which has processed $10 billion in gross ticket sales since inception, powered millions of events in 180 countries and territories in 2017. The Eventbrite platform enabled hundreds of thousands of event creators to bring a variety of live experiences to life for more than 50 million fans in 2017 - with cost effective, impactful tools, technology, and services. 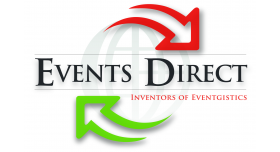 Events Direct is the only eventgistics company designed specifically to serve the events industry. 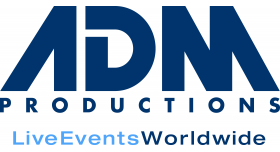 We are equipped from the ground up to meet the needs of event marketing companies. From live events to experiential marketing tours, from product promotions to sampling tours, we know you need a eventgistics company that is dependable and flexible. We handle all your special requests and we deliver on time, every time, so you have what you need to make your event a success. 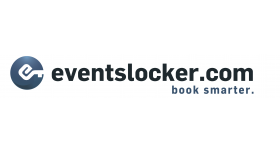 EventsLocker.com is the first nationwide live event and retail space marketplace for event marketers. 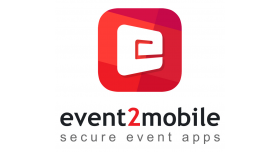 Free accounts allow users to apply for events with digital and reusable applications, tag events to watch lists and easily manage logistics, paperwork and payments. 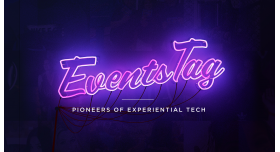 EventsTag are pioneers of experiential technology. We aspire to skyrocket any event’s social media reach through our groundbreaking, interactive live experiences; from slow motion photo booths to social media powered mosaics. Expand is a pioneer in manufacturing and marketing portable event displays and one of the global market leaders, with offices in six counties and over one million displays used around the world. We offer a global distribution footprint with fast, secure deliveries. 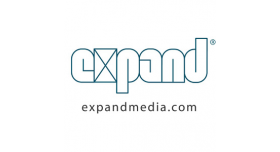 Expand is dedicated to providing the best in solutions for marketing, brand-building, information, and presentations. Our core value is “being intelligent and innovative in everything we do” – from market research, product development and design to delivery and service. 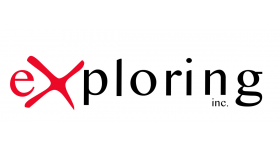 Award-winning collaborations begin with Exploring, Inc. Our dynamic brands can help you achieve the unexpected. With a 151,000-square-foot, state-of-the-art facility, a unique range of capabilities, and a talented team of experts, we thrive on delivering extraordinary environments and experiences for agencies. Exploring is your one-stop source for exceptional fabrication, scenic, waterjet cutting, graphics, and flooring. Contact us to see how we can support you on even the most creative and complex projects! 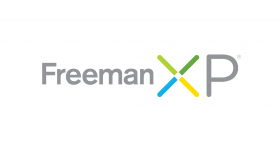 FreemanXP, A Freeman Company, is a global brand experience agency that empowers brands by creating personal experiences for your most valuable audiences. From strategy and creative, to digital, logistics, and event technology, our teams use intersectional design thinking to put you and your audiences at the center and connect people in meaningful, memorable, and measurable ways. 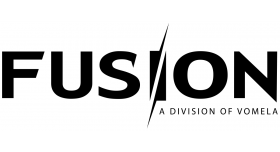 Fusion Imaging is a leading provider of large format graphics and custom tension fabric structures for events. We operate as an agency partner and can help provide services like site surveys, signage grid management, on-site installation and strike and logistics - in addition to all typical large format printing needs. We specialize in stadium, convention center and hotel event environments. Headquartered in St. Louis, Mo., Gateway is dedicated to designing and fabricating innovative exhibits and displays, providing best-in-class event marketing services and executing forward-thinking experiential marketing solutions. 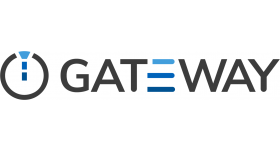 Gateway’s success stems from our team, core values and commitment to delivering legendary service. 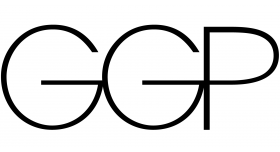 With over 100 malls across the country, GGP is the perfect venue for your brand to connect with consumers on their path to purchase. From large format advertising, to onsite consumer events to local sponsorships, we help create custom, targeted campaigns at any of our shopping destinations. Unique activations are key to reaching our shoppers and creating brand loyalty, enhancing their retail journey along the way. 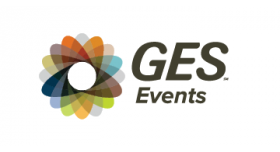 GES Events is a boutique agency with access to incredible resources across the globe. We team with brands like yours to deliver high-value, high-impact experiences to event attendees and the people they influence. 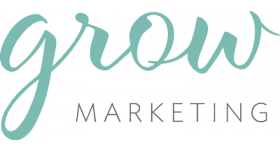 Grow handles brand strategy and experiential for both external and internal audiences. We deliver strategies that drive consumer and employee engagement, ultimately increasing brand health, customer satisfaction and loyalty. 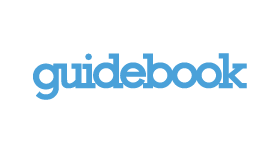 Guidebook offers a powerful mobile application builder and industry first branding options to help you create apps for events, conferences, trade shows, meetings, and more. Create and customize your app in four easy steps — no technical skills required. Choose a template, select your features, add content, and publish! Whether your event is indoors or outdoors, at a festival, stadium, ballroom, parking lot, or tradeshow hall, we have the structure to support you. From double-deck structures, modular wall systems and superstructures, to outdoor branded environments, showrooms, hospitality centers and mobile solutions. 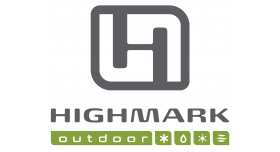 Highmark combines decades of innovation, leadership, premium quality, and legendary customer service with the best solutions available for event and exhibit structural systems; available for purchase or rent. Illuminated Mobile provides digital LED mobile advertising billboard trucks. 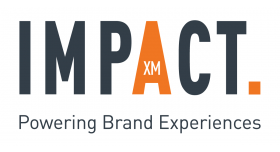 IMPACT XM IS AN EXPERIENTIAL MARKETING AGENCY. experiential marketing engagements that deliver measurable results for our clients. 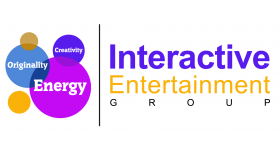 Interactive Entertainment Group specializes in Experiential Marketing and Brand Activations Products. Custom Augmented Reality Systems, Interactive Gaming Programs, Social Media Photo Activations and more. All products and programs can be customized for your brand. Call for a Free Consultation today. Call today 800 760-0724 or email us at info@interactiveparty.com. 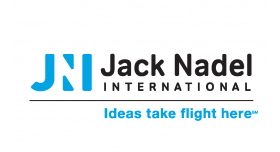 Jack Nadel International is a premier provider of targeted advertising and marketing solutions and has been in the branded merchandise business for over 60 years. With 23 locations around the world JNI is ready to provide you with the best solutions and services possible. 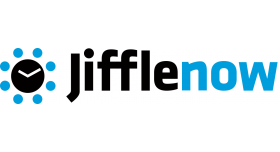 Jifflenow's software platform is used to schedule, manage, and analyze meetings across all events, conferences, and trade shows. 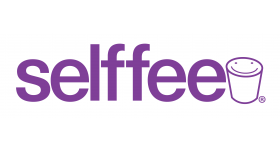 Jifflenow offers the easiest way to schedule 1:1 meetings at events and to collect data about those meetings so you can builds reports and dashboards that prove the value of investing in events. 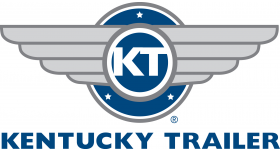 Kentucky Trailer Specialty Vehicles Group builds Mobile Marketing Trucks, Trailers, and Specialty Vehicles....want to create a highly immersive Experiential Tour? Let us help ypu Mobilize Your Brand! 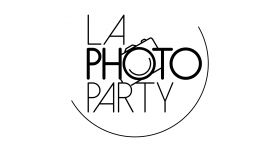 LA Photo Party specializes in experiential marketing and entertainment for corporate and private events. Our offices in Los Angeles, New York City, and London develop cutting-edge technology worldwide including green screen photos and videos, gifs, slow motion, underwater photo booths, virtual reality, mixed reality, augmented reality, and more! When you need to make an impression, LEO delivers. Our innovative minds and entrepreneurial, can-do attitudes provide clients powerful content, design, production and execution that gets a lasting response and longer-lasting loyalty. Ultimately, we turn moments into experiences that bring purpose, meaning and affinity to your brand. We are moment makers. Our client roster includes ExxonMobil, Walmart, Sherwin Williams, Hilton Garden Inn, AutoZone and KAABOO-Del Mar. Let us ROAR for you. 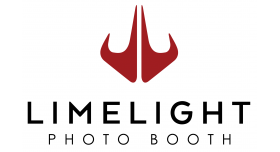 Limelight Photo Booth® specializes in social media solutions and interactive photo and video marketing campaigns for your next convention, tradeshow, corporate event or product launch. We also offer the iClick Photo Booths which are a multifunctional photo booth kiosk featuring Photo, Video, Green Screen, GIF Animation, Slow Motion Video, Hashtag Printing and Flip Books in one ultra-sleek portable unit. 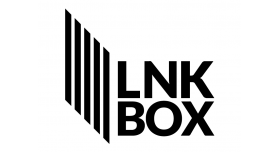 LNKBOX is a repurposed shipping container that holds a fleet of pedicabs. The box itself and cabs are offered as additional media space for event organizers and venue managers. Our venue and live event partners list the LNKBOX offering to their respective advertising clients. We become a novel addition to the media offerings at the event or venue. We offer a wholesale rate to the hosting entity, they then mark it up and offer the LNKBOX product to advertisers. In this way, we are able to create an entirely new revenue stream for our host company. LNKBOX becomes yet another product to more fully monetize the event. We specialize in short term leasing with Mobile Marketing vehicles-any make or model delivered anywhere in the country. 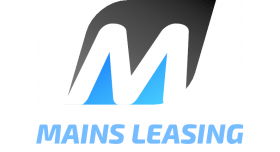 Vehicles, trucks, trailers- customized solutions with no money down, all-inclusive leasing covering all the cost. Check us out at Booth #503 and try our SelFone Wireless Print Station. The hottest new photo marketing experience for events and daily use! Awesome. Surreal. Soul-charging. However you describe it…it’s all about having an unforgettable experience. And we love it too. We’re your global partners for fabric structures, 2D & 3D graphic treatments, specialty lighting, architectural installations, creative design and whatever your heart desires. We collaborate with you to deliver on your vision. 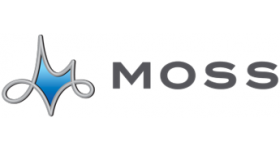 Any venue, any event, any time - Moss raises the bar for our experiential agency and production partners. 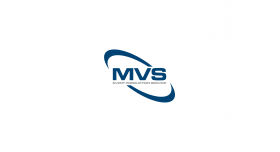 MVS can handle any size event and using the latest technology we can help you connect with your audience in ways that no other event a/v and production partner can. We are an industry leader in creating innovative events that are focused on the attendee experience and interactivity to provide a compelling and memorable platform for your message. Nebular is a full-stack development agency that specializes in the experiential marketing space. 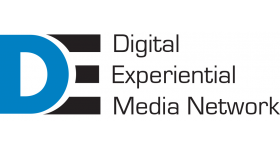 We partner with agencies all over the world to create unique digital experiences. Our cutting-edge technology will ensure any product or service stands out! 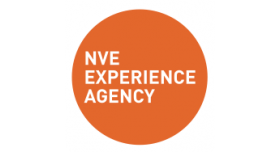 NVE is a world-class experience marketing agency and event production company, guided by the principle that the right moment will transform someone forever. Committed to delivering calculated impact, NVE creates distinct and data-driven experiences rooted in cultural context to convert consumer attention into action, sales, and absolute brand loyalty. The firm embodies the mantra “The Polished Hustle” – a work ethic defined by engaging cross-industry expertise to execute impactful ideas with pure grit. 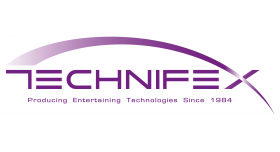 NVE’s successes earned them a spot on the Inc 500 list and placement on EventMarketer’s IT List for three consecutive years. 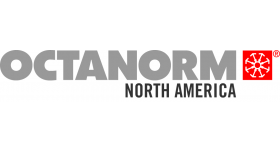 OCTANORM® has provided marketers with temporary environments for 48 years. Environmentally friendly, functional & timeless; OCTANORM® recyclable products provide custom solutions for discriminating tastes for everything from floor to ceiling. 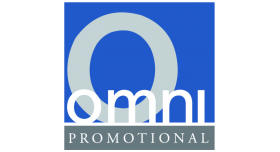 Omni Promotional is the worldwide leader in large format event assets. 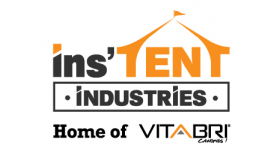 Tents, Banners, Flags, Table Covers, Fencing and Inflatables. 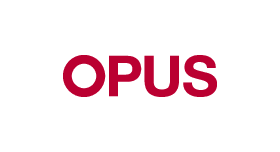 Opus is a full-service experience agency. We partner with the world’s most innovative brands to create remarkable events around the world, tying unforgettable experiences to unmistakable business results. 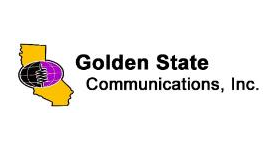 Our services include strategy, creative, production, event management, event technology, registration, and promotional products. Every idea we implement is guided by our passion to drive our customers’ business success. 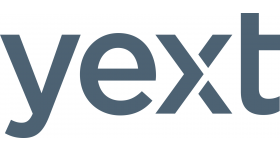 PEX, a New York fintech company founded in 2006, is a platform provider of next generation corporate card and expense management solutions for businesses. Businesses maintain control of their money through use of the PEX Visa® Prepaid Card by issuing cards to employees, supplying funds, and limiting where staff can spend, as needed. The PEX Admin desktop site, Admin and Cardholder mobile apps provide up-to-the-second access to manage and oversee employee spending. 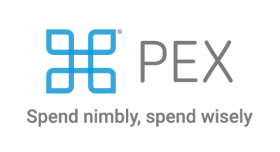 PEX APIs are available to enterprise clients who need to enable spending for many employees. 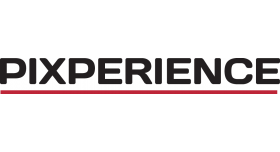 Today, PEX services thousands of businesses nationwide across a wide variety of industries. 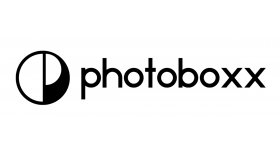 Photoboxx creates experiences the brain can't forget. The Photoboxx team has been developing experiential marketing technology since 2012 and has helped brands engage with their consumers with live event experiences. Photoboxx was one of the first hashtag printers used by brands to connect with consumers during events. With Photoboxx, you have the ability to instantly create engagement at any event simply using a hashtag, allowing users to instantly see their social media photo print in front of their eyes. Users take home a branded Polaroid-style print that serves as a permanent reminder of your brand, and you brands social media impressions during live events. Let us help you create experiences that consumers can't forget. 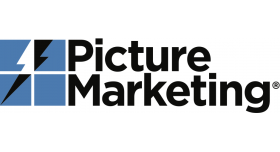 Picture Marketing® is an industry leader in developing scalable social photography solutions and software. Our FotoZap® platform can be used in Do-It-Yourself mode…or we can provide complete turn-key services. Buy or lease pre-configured hardware. Consolidate fragmented branded content sharing efforts. Take control of your photo activations. Pixperience creates custom photo experiences for live events. We specialize in 360º and 180º photo booth installations for brand activation and event marketing. Premier Canopies specializes in the manufacturing of Large Format Displays & Print. We offer items ranging from 10x10 Pop-Up Canopies & Flags to Point of Purchase Displays and Vinyl Banners. We believe in taking a customer service first approach to our business and will work with you to create the custom event display to fits your clients needs. Top Quality Products, Excellent Customer Service, and Quick Production Times. Based in Denver Colorado, Proctor is a full-scale experiential design and fabrication firm that designs, fabricates and installs trade show exhibits, event displays and brand experiences for a wide variety of companies across the country. 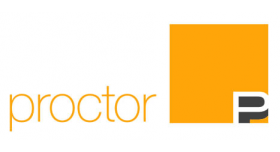 Proctor has focused on creativity, strategic thinking and craftsmanship for over 35 years. 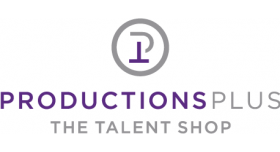 Productions Plus is a nationwide talent agency representing Fortune 500 companies by providing Brand Ambassadors and Product Specialists to act as “the Face of your Brand.” With a database of over 29,000 talent, we staff auto shows, live events, trade shows and consumer events throughout the USA. Pyrotek is a leader in a wide variety of innovative special effects for various live events with five offices to serve our clients throughout North America and internationally. Pyrotek’s goal is to deliver world class solutions with the highest standards of professionalism, accountability and efficiency on a global scale. 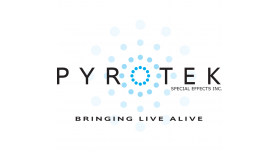 At Pyrotek our mission is to push the limits of our craft so that our clients can keep Bringing Live Alive. 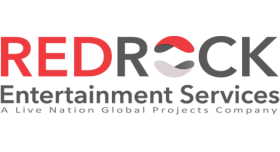 With extensive and multi-disciplinary experience in Entertainment, the Founders of Redrock Entertainment continue to lead the Industry by focusing on what matters most — people. The world’s most iconic brands and artists choose us because we build relationships, experiences, and dreams that last a lifetime. Adapting to your creative needs, we construct and produce live events that engage audiences world-wide. Sendoso is the Engagement Delivery Platform, helping companies source, send, and centralize direct mail, swag, gifts, notes, and anything else. 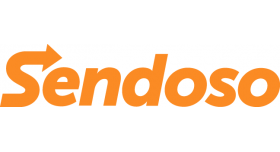 Sendoso’s platform allows you to send gifts in bulk or one off with one click. sharingbox is a global agency creating innovative photo experiences. sharingbox help brands connect with their audience, sharingbox uses its own proprietary technology, enabling it to create customized experiences. The technology is also used as a strong marketing tool for brands collecting curated data on events and building traffic. 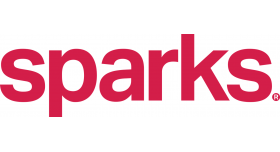 Sparks is a brand experience agency that solves real business problems using a thoughtful mix of strategy, creativity and culture. We listen to your needs and learn about your audiences. We identify the trends happening in the world and the essentials that people love about your brand. Then we innovate and design to connect and amplify them. Through experiential marketing, we help build undeniable moments that empower people, get them thinking, change the direction of their lives, or simply bring smiles to their faces. The result is a relevant live + digital experience your audience will never forget. 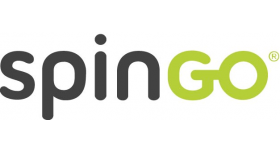 SpinGo is an event innovation company serving enterprise event makers with event management and marketing solutions. SpinGo’s event management platform Event Master is the technology backbone behind events like The Silicon Slopes Tech Summit, Samuel Adams Beer Festivals, Indie Beauty Expo, and EMS. Event Master provides tools for customized attendee registration, sponsor & exhibitor applications and registration, breakout session registration, sponsor lead retrieval and more. As every event is different, SpinGo's team provides each client with dedicated, relationship-based support throughout the life cycle of each event. 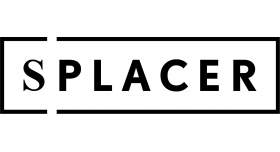 Splacer - Unlocking Spaces for Creative Activities. 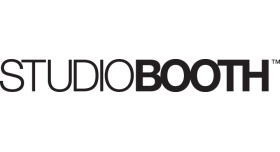 StudioBooth creates high-end photo booth activations that focus on brand integration, social media outreach, and interactivity. The company works with the world’s top brands to create unique experiences and has offices in New York City, Los Angeles, and San Francisco. 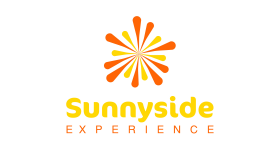 Sunnyside Experience event services create a bond between the customer and the brand by immersing them in a meaningful, fun and memorable experience. This is the Sunnyside Experience! 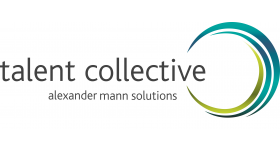 As the consulting arm of Alexander Mann Solutions, Talent Collective’s global team of over 350 consultants have unrivalled expertise and heritage in the field of Talent Acquisition. Consulting closely with you we provide strategic insights and tactical interventions on all elements of the Talent Acquisition process, including TA technology, branding & attraction, diversity, candidate experience, assessment and increasingly in the field of robotics. 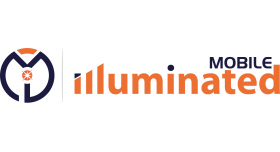 Our purpose is simple – to partner with you to identify, develop and deliver the right solutions to enable you to succeed in competing for the best talent. 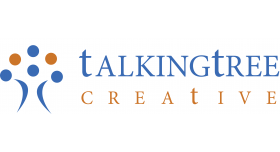 TalkingTree Creative is a marketing agency producing engaging experiences for audiences on stage, on screen and online. We use our entertainment background and theatrical techniques to create dynamic events, videos, VR projects and exhibit installations that inspire your audience. 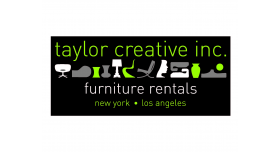 Taylor Creative Inc. offers an exclusive rental collection of modern furniture ideally suited for launch parties, greenrooms, media events, trade shows, social affairs, weddings and private events. With offices in New York and Los Angeles, we service events across the country. 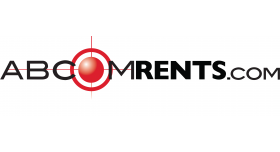 Contact us at 888.245.4044 for rental inquiries. 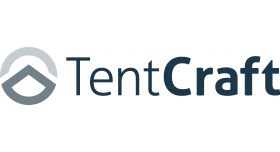 TentCraft is a juggernaut of manufacturing world-class outdoor marketing elements such as pop-up tents, custom structures, flags, signage and event solutions for businesses, popular brands and agencies all across North America. Rooted in humility, hard work, and a little weirdness, our American-made craftsmanship will empower your brand to stand out from the crowd with premium marketing experiences surpassed by none. 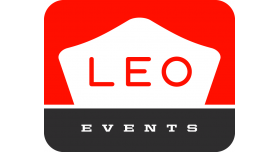 we are not your average event staffing agency. we are partners and we execute flawlessly. as your event staffing partner, we believe that like any good story, every one we tell takes the right characters, details and ideas to make it come alive. when those things come together the results are limitless—whether that’s a smiling guest at a grilled cheese truck or a seriously freaked out fan at a live movie demo. we make ideas come to life. TOSSWARE is our line of upscale, shatterproof drinkware with models ranging from wine glasses to champagne flutes to beer pints. 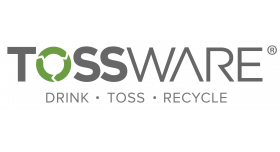 Every piece of TOSSWARE is made of up to 50% recycled plastic and is 100% recyclable. TOSSWARE's patented rounded-edge lip gives our line the luxury feel of actual glass while also allowing our cups to stack for easy transportation. And while we love the crystal clarity of our BPA-free cups, we offer in-house custom printing for your next event. 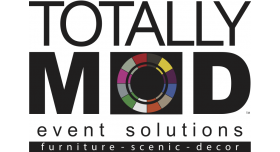 TOTALLY MOD designs, manufactures, and rents modular modern furniture and décor nationwide. We’ve created a new category in event furnishings with the introduction of First Class Session Seating, seating designed specifically for learning environments. Also, be sure to check out our Style Tyles, the ultimate modular décor collection featuring our patent pending fast-assembly magnetic system. 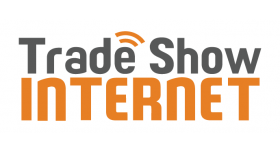 Trade Show Internet partners with experiential marketers to meet all their event Internet/WiFi needs. For over 10 years, top media, consumer, fashion, technology and gaming events have called on TSI’s engineering know-how and exemplary service to provide stellar event connectivity. 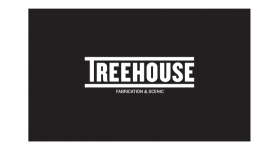 Treehouse Fabrication & Scenic is a seasoned team of craftsmen who pull from over a decade of experience transforming visions into tangible environments for world-class brands such as adidas, Amazon, NBC Universal, National Geographic, Samsung, and Twitter. The LA-based shop delivers context-driven builds rooted in core capabilities across creative, technical, and build services. From one-off pieces to fully immersive environments, Treehouse handles the full scope of a project, from conception to installation, with empathy and transparency. 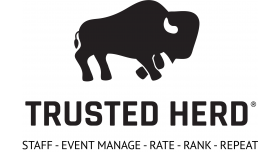 Trusted Herd is like Carfax for the event marketing industry, comprising of 50% DIY job posting, hiring, and event management, and 50% reviews for both workers and companies. With thousands of workers and thousands reviews already in Trusted Herd, the future of an accountable and transparent event staffing industry is now. 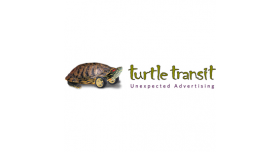 Turtle Transit is the industry leading fabricator of mobile marketing vehicles and interactive exhibits. We’re your go-to builder of live experiences. We design and build award winning vehicle programs, interactive exhibits and environments, experiential installations, kiosks, mall programs, activation stations and pop-up shops for some of the world’s biggest brands. 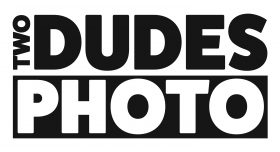 Two Dudes Photo delivers premium photography and video experiences on location, with a custom backend to deliver rich, custom data while driving traffic and engaging your audience. Embed your story into the hearts of consumers with an American icon — Airstream. 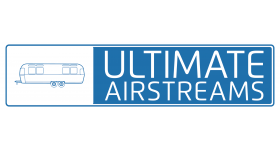 Ultimate Airstreams is an Airstream factory-authorized upfitter. Purchase or rent from our existing line up, or build purpose-built experiential Airstreams to your vision. 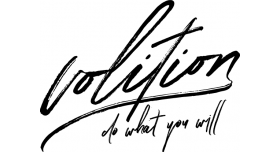 Volition is a global team of talented thinkers, makers, and doers that helps progressive companies create interactions and experiences that express true identities and influence those who matter most. We are women-owned, we are fearless, and we celebrate the infinite possibilities that emerge when people are given the tools and freedom to act of their own free will. This notion has inspired partnerships with some of the world’s leading brands in industries ranging from technology to footwear, charity to entertainment and beyond. Feel free to get to know us at volitionagency.com. 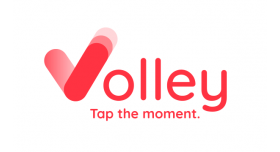 Volley Media is changing the way audiences capture and share video from live events or pre-recorded broadcasts. This patent-pending mobile-based video platform empowers audiences with an easy way to capture, curate, save, and share the moments that matter most to them. With one tap of the Volley button, audiences can instantly share brand controlled broadcast-quality video via social, email or text. What’s good for audiences is good for brands—easier sharing means amplified content and extended brand reach. It is time for you to upgrade the way you staff your events. The next evolution in Event Staffing has finally arrived.The world's only White Labeled event staffing software solution.Never outsource your staffing needs again. Create your own internal event staffing machine! Easy. Affordable. 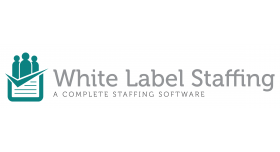 Effective.Turnkey staff selection from a database of over 100k promotional people. Scheduling. Monitoring. Event Reporting.One system does it all. 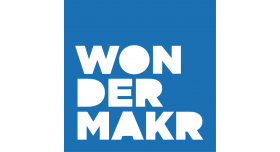 wonderMakr is an award-winning creative technology studio, specializing in the development of innovative digital + physical experiences. We are makers, marketers and magicians. Through insight and invention we prototype, produce and prove the value of some pretty wonderful hardware and software combinations. Everything we make is designed to entertain, inform and inspire. 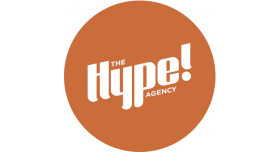 We work with advertising, marketing, experiential, PR and social agencies, and directly with some of the top brands in the world. A lot of the time, we make stuff just because we want to. Without a brief. Talk about living on the edge. 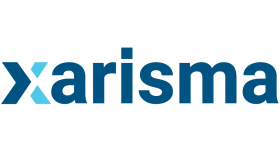 Xarisma is a leader in both solutions and manufacturing of custom printed media and media displays. 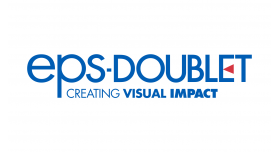 Xarisma provides visual branding solutions using the highest quality print media and media displays. 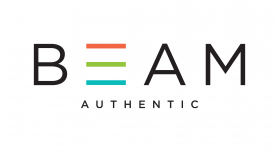 BEAM – Wearable dynamic personal billboards for events and companies. Powered by a SaaS platform and/or mobile app via Bluetooth in realtime. Wear and share your custom messaging – slideshows, GIFs, images.